Sterling Silver Black Onyx Necklace. See Closeup. 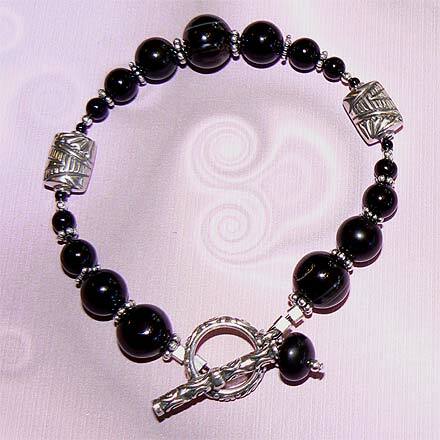 Sterling Silver Black Onyx Bracelet. 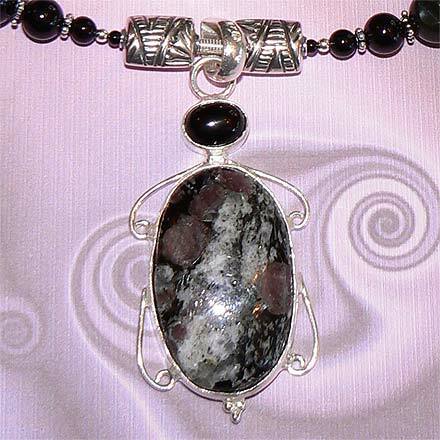 Eudialyte, which is the pinkish purple stone in the grey matrix in the larger part of the pendant, is very hard to come by. 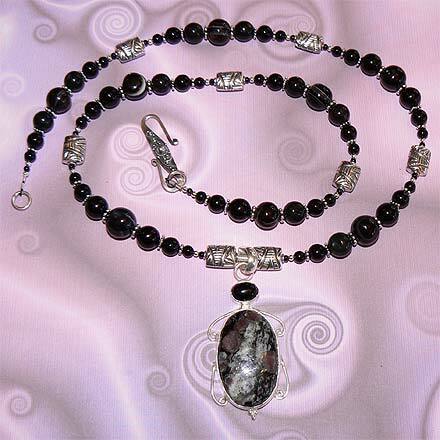 At the time I made this set, I had no Eudialyte beads to use with the pendant! I now do, but only a few and they were very expensive. Fortunately, the 2.4" pendant is topped off with a little Black Onyx cabachon, so I used that instead throughout the set. The necklace is 24.2" and the matching bracelet is 7.4". 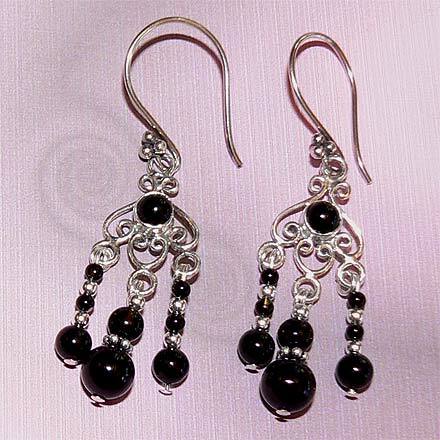 For those who are interested in Astrological significances of stones, Onyx corresponds with Leo, and Garnet corresponds with Capricorn, Aquarius and the month of January.